In the late 19th century, a painting titled The Roll Call, by a virtually unknown artist, took England by storm. But after that brilliant first effort, the artist all but disappeared. Why? And what does The Roll Call tell us about the fate of those first through the door? a couple of corrections, it wasn't a restaurant that had the offensive reference to Julia Gillard on the menu, it was at a Liberal party (Australia's conservative party) fundraiser. Also, Peter Slipper, the speaker who sent the sexist text messages, wasn't a member of Gillard's party, he was a Liberal MP amd was appointed speaker because numbers in the chamber were so tight that the government couldn't afford to lose a vote to the speakers chair. Worth getting these basic facts right in a history podcast. It's so amazing me to how such intelligent people let political bias completely steer their interpretations. Is he insinuating Hillary Clinton was held back in any way like the Elizabeth Thompson in 1879? How completely absurd. If any man on the right committed the crimes she did they'd be in prison. Gladwell also compares Rush Limbaugh to an Australian shockjock that made a disgusting remark regarding Gillards father's opinion of her after his death. He's obviously never even listened to Rush Limbaugh. Malcom, you have my respect as an author. But you are seriously blind to your leftism, as most leftists are. 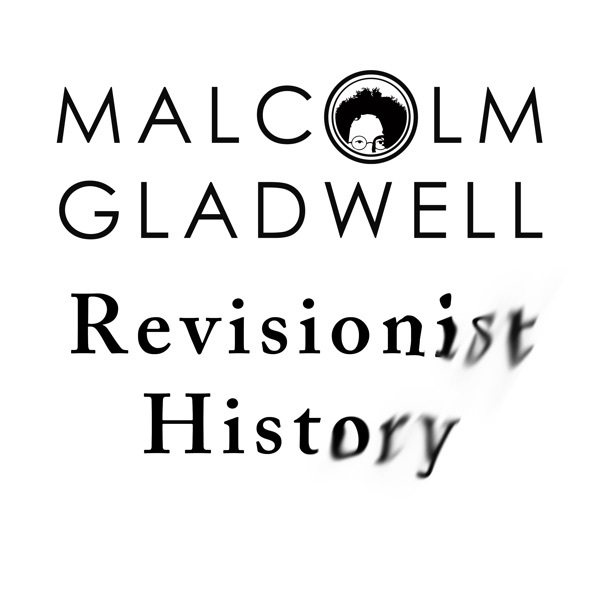 Revisionist history, as it turns out, is an apt title for this series as we've watched the left revise history to cover their corruption and causation of human suffering since it's inception. 1st and last episode for me. What a shame. Casey Teschner Wow. Pot, meet kettle. Lovely blanket statements from one who criticizes for the exact reason. Priceless. This episode is my first and last. Sorry it's just overtly left. what he describes used to be known as self righteousness. I'm against racial and gender quotas on principal. It's not a sign of progress.